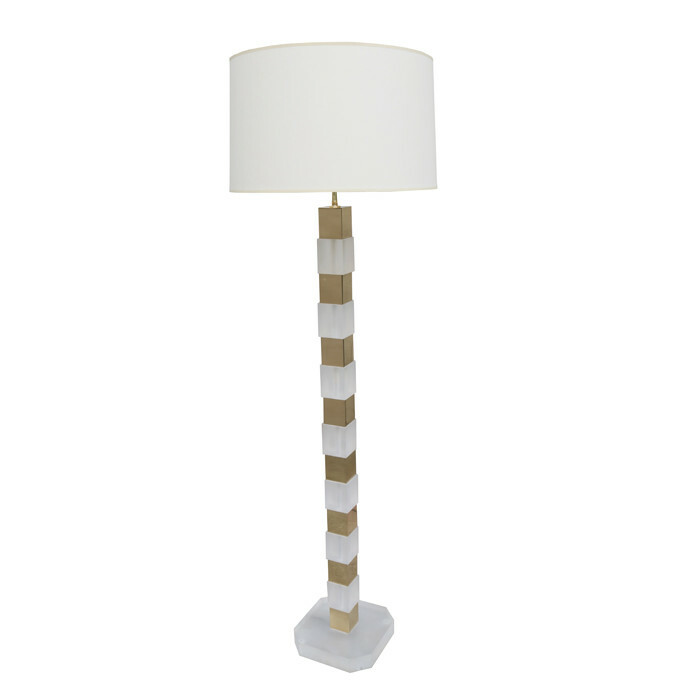 A Modernist floor lamp. Frosted lucite and polished brass details. Dimensions: H:64 Shade diameter:20 Inches.